This genial, over-stuffed return boasts more national treasures than the British Museum. But tinny plots and predictable scripting mean it lives up to its title. A bit of a hostage to fortune, that title. 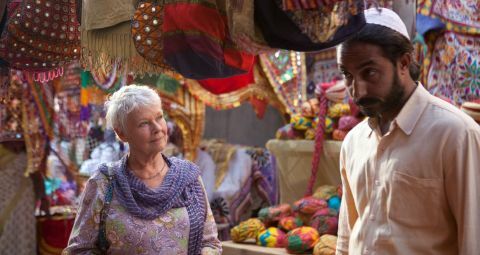 After charmed audiences propelled 2012’s The Best Exotic Marigold Hotel to a $137m gross, it must have seemed pretty bomb-proof, though. But there’s a distinct whiff of reheated second helpings about this admittedly jolly return to Jaipur’s jauntiest Brit-packed retirement home, where manager Sonny (a manically wisecracking Dev Patel) is wrestling with hotel-chain expansion plans and wedding worries, while director John Madden ensures that Judi Dench’s love-wary widow and Maggie Smith’s world-weary manager get lashings of screen time. Smith’s world-class way with an acid remark (“America? It made death look tempting”) cuts fearlessly through screenwriter Ol Parker’s sentimentality-inclined script. Having used up all of the culture-clash plots and curry gags last time around, the film settles for a gentle will-they-won’t-they romance between Dench and fellow resident Bill Nighy. Beautifully played and often touching, it’s not a pulse-racer, however. So the film is over-reliant on Sonny’s frantic and farcical attempts to win over mystery visitor Richard Gere, whom he suspects is an undercover inspector from a US hotel chain, potential partners for a second hotel. Gere, chiefly cougar-candy for Celia Imrie’s rapacious retiree and Sonny’s haughty mother, feels shoehorned into an already bulging crew of vintage Brit thespians. Like its predecessor, the film takes a travelogue view of India, throwing lavish Monsoon Wedding-style nuptials and Slumdog Millionaire-inspired dance routines into the mix to keep everything determinedly lively. Fewer sugary celebrations and some chewier late-life themes would have made this a much tastier sequel.